As the holiday crush begins, there’s more on the minds of our Pinterest followers than just presents! Keeping things neat and festive seems to be the theme as we plowed through November and landed in December. To give you a taste of what they’re pinning, here are LTD’s Pinteresting Picks for November. Fresh & Clean Get functional design and a touch of fashion with this all-over print Jumbo Handled Hamper. It is equipped with two large handles that have padded grips for comfort. 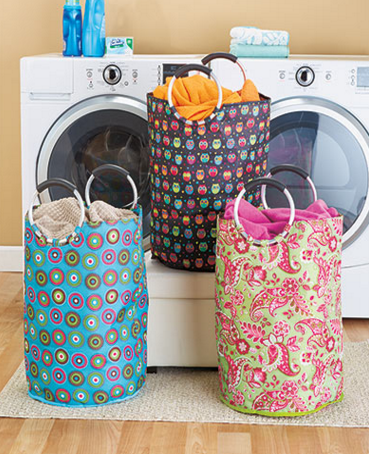 Works well for bringing your laundry to the washing machine in one easy step. 14″ dia. x 19-1/4″H. Polyester, aluminum and polyethylene. Imported. The Final Countdown This Christmas Countdown Block gives you an easy way to count down the days until Christmas. 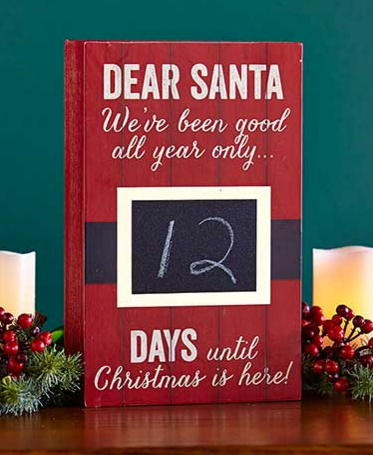 Each wooden block features a lighthearted design with a chalkboard surface for writing the count with your own chalk. 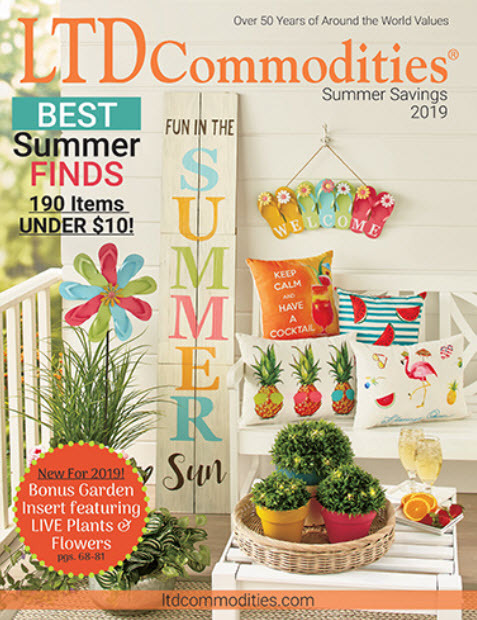 Set the block on a table or mantel. 4-7/8″W x 1-5/8″D x 7-3/4″H. 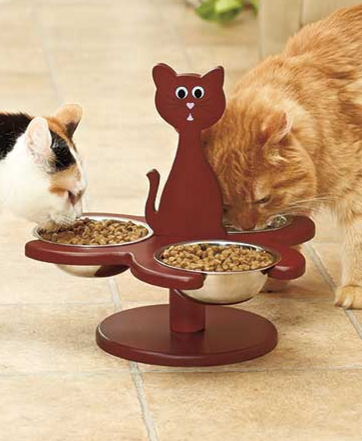 Triple Threat Feed 3 cats at once with this wooden Raised Multi-Cat Feeder. It has a specialized design that allows cats to eat at a comfortable height that protects their neck and joints. Cat-shaped handle makes it easy to carry. Removable stainless steel bowls are top rack dishwasher safe. 12″ dia. x 10-3/4″H. Bowls, 4-3/4″ dia. x 1-5/8″H, each. Height of bowls from ground, 4-1/8″. Easy assembly required; assembly hardware included. An Ounce of Prevention Prevent spills and dust collection in hard-to-reach places with a Set of 2 Silicone Counter Gap Covers. Use these covers to bridge the gap between stove and counter, washer and dryer, desk and printer stand and more. Durable silicone won’t warp or melt. Won’t scuff or scratch. 21″W x 2-1/4″D x 1/2″H, each. Can be cut to shorter lengths if necessary. Dishwasher safe. 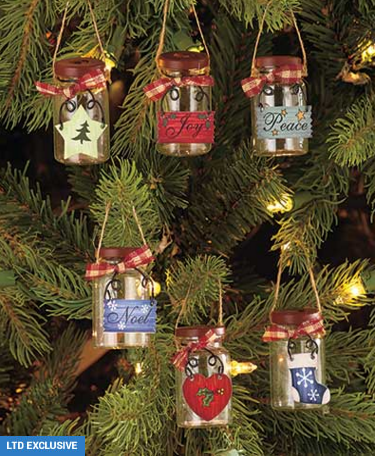 Jars of Joy Place this Set of 6 Mini Mason Jar Ornaments over mini string lights, or hang them by themselves for a country-inspired holiday look. Each jar has an opening in the lid, so you can slip it over a mini bulb or add your own accents. Decorative hanging tag has a symbol of the season or an inspiring word, and a plaid fabric bow completes the look. Each has an attached hanger. 1-1/4″ dia. x 2″H, each. Glass and metal. Electrical Boogaloo Protect outdoor electrical connections for a holiday display or at a job site with a Set of 2 Extension Cord Safety Seals. 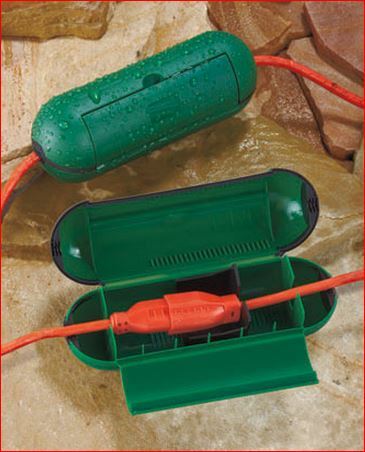 The case snaps around the point where the cords come together, and a rubber seal keeps out rain, snow and mud. An internal locking safety mechanism holds cords securely together. These cases are a simple solution that will prevent shorting out and eliminate the chore of reconnecting cords that have been accidentally pulled apart. 3″ dia. x 8’L. Plastic.